Συντάκτης: dikaiopolis , ημέρα Σάββατο, 28 Φεβρουαρίου 2015 και ώρα 2:54 π.μ. In one of the most detailed studies of its kind, a team of Greek and U.S. researchers have vividly chronicled the harmful public health impacts of the economic austerity measures imposed on Greece's population in the wake of the global economic crisis. Writing in today's [Thursday, April 18] American Journal of Public Health, the researchers cite data showing the economic recession and subsequent austerity policies in Greece have led to a sharp deterioration of health services and health outcomes. Researchers at the Aristotle University of Thessaloniki in Greece and the University of New Mexico in the United States studied current data on economic and social conditions, utilization of health services, and health outcomes. They found that key public health indicators declined in tandem with the recession and austerity policies that reduced public services. For example, between 2007 and 2009, suicide and homicide mortality rates among men increased by 22.7 percent and 27.6 percent, respectively. Mental disorders, substance abuse, and infectious diseases showed worsening trends. Despite deteriorating health conditions, cutbacks occurred in government financing of public services, as the Ministry of Health's total expenditures fell by 23.7 percent between 2009 and 2011. Meanwhile, due to unemployment and loss of personal income, patients decreased their use of private medical facilities, and utilization of already-stressed public inpatient and primary care services rose by 6.2 percent and 21.9 percent, respectively, over a two-year period. Dr. Elias Kondilis, lead author of the study and a researcher at Aristotle University, commented from London, "We were expecting that these austerity policies would negatively affect health services and health outcomes, but the results were much worse than we imagined." Based on their findings, the authors criticize austerity policies that are likely to cause deteriorating health conditions in other European countries and in the United States. The U.S.-based researcher on the team, Dr. Howard Waitzkin, distinguished professor emeritus of sociology and medicine at the University of New Mexico, said: "The policies of cutbacks currently proposed in the United States for Medicare and Social Security will lead to similar devastating effects on health services and outcomes. Instead of austerity policies, we need increased public sector spending to stimulate our failing economy and to protect the health of our people." In contrast to the Greek experience, the authors point to several Latin American countries that have resisted demands to reduce public investments in health services. Such policies, they argue, have led to improved economic and health indicators. The senior researchers of the study were Dr. Howard Waitzkin on the U.S. side and Dr. Alexis Benos in Greece. Both are readily available for comment. "Economic crisis, restrictive policies, and the population's health and health care: The Greek case," Elias Kondilis, M.D., Ph.D., Stathis Giannakopoulos, M.D., Ph.D., Magda Gavana, M.D., Ph.D., Ioanna Ierodiakonou, M.D., Ph.D., Howard Waitzkin, M.D., Ph.D., and Alexis Benos, M.D., Ph.D., American Journal of Public Health, April 18, 2013 (online ahead of print). A copy of the EMBARGOED manuscript of the study is available to media professionals upon request. Physicians for a National Health Program is a nonprofit research and education organization of more than 18,000 doctors who advocate for single-payer national health insurance, an improved Medicare for all. Dr. Howard Waitzkin is a founding member of PNHP; Dr. Alexis Benos spoke to PNHP's Annual Meeting in San Francisco in October. PNHP had no role in funding or otherwise supporting the study described above. To speak with a physician/spokesperson in your area, visit http://www.pnhp.org/stateactions or call (312) 782-6006. Austerity can be bad for your health. Greece has seen drastic increases in infant mortality, suicide and depression since the government made deep cuts to healthcare and social support services between 2009 and 2012. These fallouts may soon be reprised in other countries that have embarked on tough austerity measures, such as Spain and Portugal. Following the country's financial crash, Greece cut its hospital budget by 25 per cent cut and slashed funding for mental health problems by 55 per cent. An analysis of health statistics shows that as a result, suicides increased 45 per cent between 2007 and 2011 and, over roughly the same period, cases of depression more than doubled and infant mortality rose by 43 per cent. Needle-exchange schemes and free condoms for injecting drug users were also cut. By 2012, new HIV cases in this group were 32 times what they had been in 2009. The country has also had its first cases of locally spread malaria for 40 years. "The Greek experience shows the serious consequences of withdrawing health spending and social services," says David Stuckler of the University of Oxford, lead author of the analysis. The worry is that a similar pattern will be seen in Spain, which introduced similarly savage cuts to health budgets in 2012 and 2013. "We think Spain will follow if the cuts are not reversed," says Helena Legido-Quigley of the London School of Hygiene and Tropical Medicine, who last year published a study on how the recession has so far affected health in Spain. Legido-Quigley says that more recent developments such as the withdrawal of universal access to healthcare from 873,000 non-residents in 2012 could create conditions for epidemics of HIV and TB like those seen when services were withdrawn in Greece. She says there's still time to prevent similar epidemics in Spain, but only by restoring universal healthcare. Stuckler says preventing epidemics is far cheaper than controlling them once they've begun. Last year, he produced estimates suggesting that healthcare spending actually boosts the economy, adding more than $4 to the economy for every $1 invested, compared with a drain on the economy of $10 for every $1 invested in defence, for example. It's a false economy to cut spending on health and welfare, says Stuckler, and both Iceland and Finland survived economic meltdowns without doing so. Instead, they saved public money by not bailing out failed banks, leaving the private sector to pick up the bill. "Short-term savings gained by drastic austerity measures should be weighed against their long-term costs," says George Slavich of the University of California, Los Angeles, who investigates the long-term effects of stress. "Living in a state of social and economic unpredictability, with inadequate access to healthcare, does not just contribute to short-term illness, it can also set in motion a set of biological processes that greatly affect lifelong health, and which can even lead to premature death," he says. Greece's health crisis is worsening as a result of continued healthcare budget cuts, says a new study published in the medical journal, The Lancet. 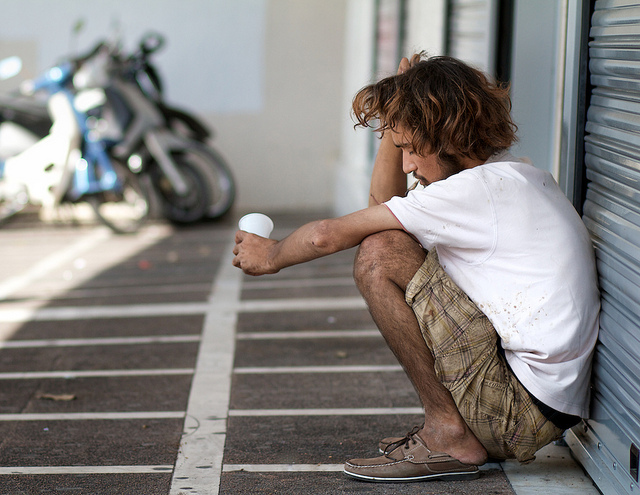 Researchers say the harmful effects of austerity are linked to the increasing inability of patients to access the health system, large rises in the incidence of infectious disease, and a deterioration in the overall mental health of Greek people. The authors from the University of Oxford, the University of Cambridge and the London School of Hygiene and Tropical Medicine find that Greece has had the largest cutbacks to the health sector seen across Europe, as the bailout package capped public expenditure at 6% of GDP. For example, from 2009 to 2011, the public hospital budget was reduced by over 25%. Greece's public spending on health is now less than any of the other pre-2004 European Union members. At a time of increasing health need and falling incomes, Greece's bailout agreement stipulated shifting the cost of healthcare to patients. The Greek government introduced new charges for visits to outpatient clinics and higher costs for medicines. General health services were also eroded, says the paper. The authors' analysis of the latest available data from the EU Statistics on Income and Living Conditions revealed a 47% rise in people who felt they did not receive medically necessary healthcare. This increase was linked to a rising inability to afford care and the costs of travel to access health services, according to the authors. Rapidly increasing unemployment since 2009 meant a growing number of people no longer had any form of health cover, with an estimated 800,000 without unemployment benefits or the ability to access health services. The authors note that experiences of other countries that have overcome financial crises, such as Iceland and Finland, suggest that by ring-fencing health and social budgets, governments can avoid some of the harmful effects of crisis taking their toll on the health of their populations. The study concludes that the Greek health-care system was in grave need of reform before the crisis, but the scale and speed of imposed change limited its capacity to respond to its population's increased health needs. The research was carried out by Dr David Stuckler from the University of Oxford, with Alexander Kentikelenis from the University of Cambridge, Professor Martin McKee and Marina Karanikolos from the London School of Hygiene and Tropical Medicine, and colleagues. David Stuckler, University of Oxford. Alexander Kentikelenis, University of Cambridge. Martin McKee, London School of Hygiene and Tropical Medicine. The study 'Greece's health crisis: from austerity to denialism' by Alexander Kentikelenis et al. will be published by The Lancet on 21 February 2014. The people of Greece rebelled last week against the perverse notion that they should continue to endure biting austerity in a vain attempt to cure a condition that they are not solely responsible for creating. Sounds familiar, right? It’s like American workers forced to suffer through a recession that they didn’t cause, a recession that was, in fact, a result of banks’ reckless risk-taking. When bets by big banks worldwide failed spectacularly in 2008, markets imploded and economies collapsed. Bailed-out banks, the wealthiest 1 percent and export-based economies like China and Germany quickly recovered. But workers struggled long-term. Austerity imposed on them was a big part of the reason. Workers were the victims of austerity’s slashed public services, wages and jobs. Those demanding austerity – the 1 percent ­– and those imposing it ­– conservative politicians ­– escaped its bitter effects with shields of cash. Austerity was not for them. It was for those without big bankrolls. That would be bad enough if austerity worked. But, as Greece illustrates horribly, it does not. Photo of young Greek man by Mehran Khalili on Flickr. Greece was no shining economic model before the worldwide recession hit. Itswealthiest citizens and business oligarchs shirked their duty to pay taxes, contributing to a large national debt. But Greece wasn’t in crisis until the banks busted every country’s economy. After the crash, the troika of the International Monetary Fund, the European Central Bank and the European Commission gave Greece loans to pay its creditors and prevent a Eurozone country from going bankrupt. The loans came with austerity as a condition. The troika demanded Greece lower its debt by viciously gouging public services, cutting pensions and the minimum wage, firing public servants, raising taxes and selling and privatizing government-owned assets. Greek officials did as they were told, and the country’s workers and families paid the price. Unemployment skyrocketed to a horrifying 28 percent – 64 percent for young Greeks. Suicides and homelessness climbed to shocking rates. Greeks denied public health services contracted malaria for the first time in 40 years. HIV infection rose 10-fold. Stillbirths increased 21 percent and infant mortality 43 percent. Greeks pointed to Chancellor Angela Merkel of Germany as their tormentor. She is the austerity maven, demanding cruel cuts in Greece, Ireland, Spain, Portugal, and every country that experienced severe economic crisis after the banks wrecked the world economy. She insisted on the suffering elsewhere as Germany, the beneficiary of grants, loans and loan forgiveness after World War II, chugged along on waves of exports. That is austerity for the other guy. Its echoes can be heard in the harangues of American Republicans. They threw a hissy fit when in the first year of the Obama Presidency, he persuaded a Democratic-majority Congress to approve stimulus spending. Stimulus is the opposite of austerity. It injects money into the economy, often through the job-creating construction of public facilities such as roads, bridges and sewers. And it works. Many economists believe President Obama’s stimulus spared Americans from the longer, deeper recession that shattered lives in Merkel’s austerity-riddled Europe. Once Republicans took control of the U.S. House of Representatives, and doubly so now that they’ve got the Senate as well, they set about condemning Americans to the austerity that failed in Europe. They cut funds for public services and food stamps. They refused to extend unemployment insurance. They tried repeatedly to rescind the health insurance that 10 million Americans received through the Affordable Care Act. They voted to cut Social Security for the disabled by 20 percent. They’re intent on making middle class and working poor Americans suffer. Republican politicians won’t feel the pain. They’ve got their political jobs and their government-paid health insurance and pensions. Their campaign benefactors, the wealthy 1 percent, insulate themselves with millions stashed in tax-evading offshore bank accounts and with other assets. For example, a former hedge fund director told congregants at the World Economic Forum’s Davos meeting earlier this month that his billionaire crony private jet owners are buying security for themselves with airstrips and farms in secluded places like New Zealand. It’s austerity for the other guy. The thing is, though, austerity doesn’t work. It damages economies. It doesn’t fix them like stimulus does. Austerity shrank the Greek economy by 25 percent. So even though the government cut spending and raised taxes, it received less revenue from the higher levies in its shriveled economy, making the loan payments more difficult. The vast majority of the money Greece borrowed through the troika repaid international creditors and bailed out Greek banks. Although the international lending institutions probably made bad bets when they lent money to Greece in the first place, taxpayers – in this case Greek taxpayers – were forced to ensure the banks didn’t experience the losses that should occur naturally as a result of risky business decisions. This is very similar to Americans forced to bail out their banks. Lenders reaped the profits when risk-taking worked; suckers also known as taxpayers got stuck with the bills when risk-taking failed. After six years of austerity and deep recession, the people of Greece balked. Last week, they elected as their Prime Minister Alexis Tsipras, a leader of the Syriza party, who promised to abandon austerity, which he calls fiscal waterboarding. He promised to demand the creditors write down the loans by half and to use the savings to increase government spending, which will stimulate the Greek economy and employment. That would raise revenues from taxes, thus easing loan repayment and providing funds for additional stimulus. Tsipras has support from political upstarts in other austerity-shattered countries. At one of his last campaign rallies, he was joined by Pablo Iglesias, whose far-left political movement in Spain called the Podemos party also rejects austerity. Podemos victories last year denied traditional Spanish parties majority votes in May’s European parliamentary elections for the first time in 40 years. And polls show the one-year-old party already has 20 percent support and is gaining. Similarly, the left-wing leaders in Italy and France have demanded easing of austerity. Beyond being a failed policy, austerity doesn’t sell well. The majority, which suffers from it, doesn’t want it. They’re unwilling to lose their jobs, their health insurance, their homes, their pensions, their savings, their children’s futures – their everything – to bail out banks, Wall Street, the rich, all those who never feel a pinch – or even a twinge of sympathy. Let alone guilt. When the majority gets an actual chance to vote on austerity, it goes down. As it did in Greece. Democracy cures austerity. PHILADELPHIA--Sharp and significant increases in suicides followed select financial crisis events and austerity announcements in Greece, from the start of the country's 2008 recession to steep spending cuts in 2012, Penn Medicine researchers report in a new study published online this week in the British Medical Journal Open, along with colleagues from Greece and the United Kingdom. After one austerity-related announcement in 2011, when the government announced steep spending cuts, suicides surged by over 35 percent, an increase that was then sustained through to the end of the study in 2012. This is the first multi-decade (from 1983 to 2012) national analysis using monthly data to link the most up-to-date suicide information in Greece to specific austerity and prosperity-related events. "Suicides closely followed the announcements of specific government economic programs in Greece, and grew to their highest levels in 2012 as economic austerity measures and public outcries accumulated in number and scale," said senior author Charles C. Branas, PhD, a professor of Epidemiology in the Perelman School of Medicine at the University of Pennsylvania. "Tragically, the impact of austerity measures on suicides is more significant and lasting than prosperity?related events, such as the launch of the Euro in Greece, and appears to affect both men and women, though the trend is more pronounced in men." Using national suicide data from the Hellenic Statistical Authority, the team, which included researchers from the University of Crete and the University of Edinburgh, found that men in Greece experienced a significant, abrupt and sustained 13 percent increase in suicide beginning in October 2008, which marked the beginning of the recession, with a reduction in national gross domestic product and many violent protests. A 36 percent sharp and sustained increase was also observed in June 2011, when the Greek government again passed unpopular austerity measures. Those spending cuts were immediately followed by strikes that halted most public services and closed Greek banks. At roughly the same time in 2011, the researchers found a 36 percent abrupt and sustained increase in suicides among women, the same month large, organized protests of austerity measures were held. This sustained increase in suicide among women was larger, on a percentage basis, than for men in 2011. This counters previous research showing that economic downturn results in larger increases in suicides among men, not women. Greek men also demonstrated a large, but temporary, 30 percent increase in suicides in April 2012, following the highly publicized suicide of a male pensioner in the main square of Athens in response to austerity conditions. Many believe that the uptick in suicides was in part triggered by the media's coverage of the incident; recognizing a possible austerity-suicide relationship publically, so often and with such intensity could have arguably contributed to the tragedies that followed, the authors write. Media coverage, however, helped to guide the researchers in their analyses. They found 12 distinct events between January 1983 and December 2012 by searching media archives and other publications to identify highly publicized events, including acceptance into the EU, the Olympics, and several austerity measure announcements. The team hypothesized those widely-known events would have the most impact on mental health and thereby could potentially lead to an increase or decrease in suicides. The timings of those events were then measured against the timing of suicides over 30 years-- a total of 11,505 suicides, 9,079 by men and 2,256 by women were found. The average monthly number of suicides over that time was 25.2 for men and 6.7 for women. In contrast to the austerity-related events, the authors found that men in Greece experienced an abrupt but temporary 27 percent decrease in suicide with the launch of the Euro currency in January 2002, when Greece was accepted into the Economic and Monetary Union of the European Union. This suggests that a positive, well publicized events can perhaps have a favorable effect on mental health, say the authors. "This new analysis brings to light the unintended mental health consequences of the public messaging of economic policies, as well as the sometimes sensational and unnecessarily explicit media coverage that can follow in the wake of these consequences," Branas said. Greece is thought to have been more affected by the economic crisis than any other European country. The past decade in Greece has been riddled with bailouts, strikes, protests, and continual media coverage of the economic crisis. Today, persistently toxic economic conditions, uncertainty, joblessness, and the possibility of further austerity measures continue to put a great strain on the Greek public, the authors say. Despite this, the correlation between austerity measures and suicide has been met with skepticism by some. Before this study, there had been no large-scale, systematic longitudinal analysis of suicide in Greece, and suicide data were lumped by year, not month, making it harder to test the short?term relationship between specific events and deaths. Speculations about suicides have also been based on government reports, unofficial data or the media, and ranged anywhere from a 17 to 40 percent increase in suicides. This study, a month-by-month, multi-decade robust statistical analysis of suicide in Greece, more accurately captures the relationship between economic events and suicide. Anastasia Kastanaki, PhD, study co-author, psychologist, and research associate at the University of Crete in Greece, has conducted several prior studies of suicide in Greece: "In the light of these data, authorities are called upon to play a more important role in educating the public over these events with the ultimate aim of reducing the impact of the financial downturn on suicide. Since efforts to save even one human life are worthwhile and critical, these same authorities, both existing and newly elected, should play a proactive role in the prevention of future suicidal acts by better assessing the needs of the population and of individuals at high risk for suicide." The study co-authors also include Penn Medicine's Douglas J. Wiebe, Brendan Carr, as well as Manolis Michalodimitrakis, John Tzougas, Elena F. Kranioti, and Pavlos N. Theodorakis from institutions in Greece and the United Kingdom. Funding for the conduct of this study provided in part by the University of Athens Collaborative Center for Clinical Epidemiology and Outcomes Research (CLEO), the Stavros Niarchos Foundation, and the US Centers for Disease Control under center grant R49CE002474. Hamburg/London - Schon die Überschrift kommt einer Ohrfeige für die politisch Verantwortlichen gleich. "Griechenlands Gesundheitskrise: Von der Sparpolitik zur Realitätsverweigerung" haben die Forscher der britischen Universitäten Cambridge, Oxford und London ihre Studie betitelt, die im Medizinjournal "The Lancet" veröffentlicht wurde. In der Tat ergibt die Auswertung offizieller Umfragen und Statistiken sowohl der griechischen Regierung als auch der EU-Kommission ein erschreckendes Bild: Demnach hat die drastische Sparpolitik während der seit sechs Jahren andauernden Krise in Griechenland verheerende Folgen für die Gesundheit der Bevölkerung. Folgen, die von der Regierung in Athen und internationalen Krisenmanagern wider besseren Wissens bestritten werden, wie die Forscher feststellen (hier die Studie im PDF-Format). Die griechische Regierung musste ihre Ausgaben "schnell und drastisch" kürzen, heißt es in der Studie. Bei der Gesundheit lag die Vorgabe der internationalen Kreditgeber bei sechs Prozent der gesamten Wirtschaftsleistung des Landes. Zum Vergleich: In Deutschland machen die Gesundheitsausgaben etwa elf Prozent der Wirtschaftsleistung aus - sie müssten um mehr als die Hälfte zusammengestrichen werden, wenn genau so drastisch gespart würde. Konkret würden die Ausgaben in der Bundesrepublik dann um mehr als 160 Milliarden Euro im Jahr gekürzt. In Griechenland traf dieser rigide Sparkurs vor allem Vorsorgeprogramme hart: So wurde die Ausgabe von Spritzen und Kondomen an Drogenabhängige gekürzt. Die Folge: Die Zahl der HIV-Neuinfektionen unter denen, die Drogen spritzen, stieg von 15 im Jahr 2009 auf 484 drei Jahre später. Den Krankenhäusern wurde das Budget um ein Viertel reduziert, die Ausgaben für Medikamente wurden auf die Hälfte zusammengestrichen. Ärzte und Kliniken reagierten mit Gebühren, die viele Griechen angesichts dramatisch sinkender Einkommen und Rekordarbeitslosigkeit nicht zahlen können. Weil Arbeitslose zudem nach zwei Jahren ohne Job ihre Krankenversicherung verlieren, stehen der Studie zufolge mittlerweile geschätzt 800.000 Griechen komplett ohne Schutz da. Auch die psychischen Auswirkungen der andauernden Krise kann das Gesundheitssystem immer schwerer auffangen, weil auch hier kräftig gekürzt wurde. Dabei besteht hier offensichtlich großer Bedarf. Denn die Zahl der Suizide in Griechenland ist zwischen 2007 und 2011 um 45 Prozent gestiegen, schwere Depressionen haben sich sogar verdoppelt. Auch die humanitäre Organisation Ärzte der Welt wird in der Studie erwähnt. Die Hilfsorganisation ist seit langem vor Ort, hauptsächlich um sich um Flüchtlinge in Griechenland zu kümmern. Im Zuge der Finanzkrise sei die Zahl der Programme verdoppelt worden, sagt Vizedirektorin Nathalie Simonnot, weil auch immer mehr Griechen keine andere Möglichkeiten der Versorgung hätten. "Hier sind Menschen in einem Zustand, wie ich es in meinem Leben noch nicht gesehen habe", sagt Simonnot. Immer mehr Schwangere könnten es sich nicht mehr leisten, ins Krankenhaus zu gehen, und viele Diabetiker müssten sich entscheiden, ob sie sich Insulin kaufen - oder etwas zu essen. Die Organisation spricht von einer vollständigen Verletzung der Menschenrechte in Griechenland. Angesichts dieser Zustände werfen die Forscher den verschiedenen griechischen Regierungen seit Ausbruch der Krise regelrechte Realitätsverweigerung vor. Das Abstreiten ernsthafter Probleme und die Behauptung, Bedürftige würden kostenfrei und ausreichend versorgt, sei eine Leugnung wissenschaftlicher Erkenntnisse - die im Übrigen auch bei der spanischen Regierung zu beobachten sei. Als Gegenbeispiel für eine verantwortliche Gesundheitspolitik während einer tiefen Wirtschaftskrise wird Island genannt. Das Land habe den Rat des Internationalen Währungsfonds (IWF) nicht befolgt, die Gesundheits- und Sozialausgaben radikal zu kappen. Das Ergebnis: Trotz der massiven Krise habe es keine erkennbaren Auswirkungen auf die Gesundheit der Isländer gegeben. A series of austerity reforms made by the Spanish government could lead to the effective dismantling of large parts of the country's healthcare system, with potentially detrimental effects on the health of the Spanish people, according to new research published in BMJ. National budget cuts of 13.65% (€365m) and regional budget cuts of up to 10% to health and social care services in 2012 have coincided with increased demands on the health system, particularly affecting the elderly, disabled and those with poor mental health. The authors, led by the London School of Hygiene & Tropical Medicine, also highlight the increase in depression, alcohol related disorders and suicides in Spain since the financial crisis hit and unemployment increased. Spain already has one of the lowest public expenditures on healthcare for its GDP in the European Union. Further cuts of €1108m will be made to the dependency fund for elderly and disabled people in 2013, putting these vulnerable people even more at risk. Key changes made by the Spanish government include excluding undocumented immigrants from accessing free healthcare services and increasing co-payments that patients must make for extra treatments such as drugs, prosthetics, and some ambulance trips. Authorities with devolved powers in 17 regions across Spain have also been required to make further cuts. In Madrid and Catalonia this has led to a move towards privatisation of hospitals, increases in waiting times, cutbacks in emergency services and fewer surgical procedures. Lead author Dr Helena Legido-Quigley, Lecturer in Global Health at the London School of Hygiene & Tropical Medicine, said: "Our analysis is the first to look at the overall impact of austerity measures in Spain on the healthcare system and the findings are of great concern. Many of the measures taken to save money do not have a strong evidence-base. We are seeing detrimental effects on the health of the Spanish people and, if no corrective measures are implemented, this could worsen with the risk of increases in HIV and tuberculosis--as we have seen in Greece where healthcare services have had severe cuts--as well as the risk of a rise in drug resistance and spread of disease." As part of the analysis, researchers conducted interviews with 34 doctors and nurses across Catalonia. Many reported feeling 'shocked', 'numbed' and 'disillusioned' about the cuts and expressed fears that 'the cuts are going to kill people'. Some also raised concerns around the 'clear intention to privatise and... make money on health and social services' and made allegations of corruption and conflicts of interest. Co-author Martin McKee, Professor of European Public Health at the London School of Hygiene & Tropical Medicine, said: "For five years, policies to address the financial crisis have focussed almost entirely on economic indicators. Our paper sheds light on the burden of human suffering that has followed from these policies." Co-author Jose Martin-Moreno, Professor of Medicine and Public Health at the University of Valencia, added: "I believe that this article sheds some much-needed light on the details of the cuts we are seeing in the Spanish health system. In fact, the cuts in public health expenditure, which are being implemented in response to a general economic crisis, are coming at a moment when health systems need more--not fewer--resources, among other reasons, to deal with the adverse health effects associated with unemployment. Cuts to essential health services, when insufficiently assessed or supported by evidence, can destabilise the health system, threatening not only equal access to healthcare, but also health care quality, which can even generate increases in other costs in the long term." The analysis was led by the London School of Hygiene & Tropical Medicine with the University of Alicante, the University of Lleida and the University of Valencia. The authors note that their analysis was limited by gaps in key Spanish government data. For further information, interview requests or a copy of the paper, please contact the London School of Hygiene & Tropical Medicine on +44 (0)207 927 2802 orKatie.Steels@lshtm.ac.uk. ECONOMIC austerity seems here to stay – at least for the foreseeable future. Any hope that a sharp dose of belt-tightening would quickly give way to resurging prosperity has melted away. And like an impolite house guest outstaying their welcome, its demands seem ever more burdensome as time goes on. The longer austerity lasts – and it is only just getting under way in earnest in some countries, such as the UK – the greater the toll on our most vulnerable citizens. It is no surprise that this will affect their health. Eurozone countries have already provided object lessons in just how severe such effects can be: the incidence of mental illness has shot up, long-vanquished infectious diseases are making a comeback, and people have been driven to extraordinary lengths to obtain even basic medical supplies from failing healthcare systems (New Scientist, 26 May 2012, p 6). Even in the cautiously optimistic US, researchers from the Center on Budget and Policy Priorities in Washington DC have warned that budget cuts mean up to 750,000 people living in poverty could lose access to a vital supplemental nutrition programme. And as we report on "Cost of cuts: Austerity's toxic genetic legacy", the immediate consequences of austerity may give way to more enduring and insidious effects on health. It is plausible that protracted economic hardship will lead to increases in heart attacks, strokes and depression. Stress hormones are known to trigger or exacerbate these conditions, and it is hard to argue that those worrying about the security of their jobs, homes, families and finances are not experiencing high levels of stress. The studies of stress conducted so far relate mostly to people who suffer from loneliness and social exclusion. They show that it causes wholesale reprogramming of genes in white blood cells, which in turn drives chronic inflammatory conditions. We also know that growing up in deprived conditionsreshapes genes for life, and there is suggestive evidence that stressful events early on – perhaps even before birth – may become "biologically embedded"via altered gene activity. If we can find behavioural or pharmacological ways to "switch off" the adverse gene programming, we may be able to mitigate the harm. But the research is still at an early stage, and some of the key findings so far relate to animals, not people. We also don't know if the findings apply to the kinds of stresses we are enduring. It's conceivable that the prevailing social conditions affect people's response: the stresses of war against a common foe might be very different to those of a socially divisive financial crisis, for example. Or it might be that stress is stress, biomedically speaking. Much ink has been spilled debating the fiscal merits of austerity. Its effects on health, on the other hand, have gone largely undiscussed, the assumption being that they will dissipate as the belt-tightening does. But if genetic responses to stress have long-term effects, perhaps lasting forgenerations, politicians must reconsider solutions to what they see as a purely economic crisis. Because austerity is not just an experiment with the wealth of nations. It is an experiment with their health, too. A great human disaster is now unfolding in the many Eurozone countries that have agreed to slash spending, wages, and living standards to meet the demands of fiscal austerity. One facet of this story that has received far too little attention, however, is the effect of these measures on the health of these nations. Austerity derives from the Greek austeros, for harsh or severe; but, in the area of health care, it has veered into the cruel: health expenditures dwindle, hospital budgets shrink, health care needs rise, and human suffering worsens. Suicide is on the rise; basic hospital supplies are missing; potentially life-saving surgeries are delayed; the rate of new HIV infections increases; drug shortages are ubiquitous; the prevalence of mental illness spikes. And these are just the obvious results. The effects of austerity on health care are both immediate and long reaching. Deep cuts in public health spending clearly exacerbate the suffering caused by the prolonged economic depression. At the same time, the cuts contribute to a more pernicious, slow-moving, and decidedly political process. For austerity is being wielded to initiate the unraveling of one of the great and humane achievements, indeed inventions, of modern Europe: the universal health care system. To understand why this is the case, let us take a brief look at how Europe came to have what it has today, before we return to the dangers of the present course. The effects of austerity on health care are both immediate and long reaching. Deep cuts in public health spending clearly exacerbate the suffering caused by the prolonged economic depression. Although the idea that all human beings, whether rich or poor, deserve health care can in some senses be traced to antiquity, it was only in the late nineteenth century, under the combined economic and political pressures of industrialization, working-class organization, and left-wing mobilization, that governments enacted forms of “social insurance.” Under the government of Otto von Bismarck, Germany was the first to set up a system of “compulsory” health insurance, which obligated industrial employers to provide insurance for their low-paid workers. The health insurance system was funded and administered by workers and employers through the so-called “sick funds.” The Bismarckian system is typically credited with initiating the European tradition of universal health care, and it certainly provided a model for other countries, as with Britain in 1911 and France in 1928. The truly universal health care system, however, was in general a post–Second World War development and was usually the consequence of the work of labor and left-wing parties. Most Western European nations took one of two paths: gradual expansion of coverage until the system could fairly be called universal or the more abrupt creation of a truly socialized national health service. In Great Britain, the 1946 passage of the National Health Service Act brought about the British National Health Service. Financed through general taxes, it provided health care as a right, with medical services free at the point of service. Most other nations, however, took a more incremental path. France, for instance, built upon its 1928 National Health Insurance system, passing successive pieces of legislation that covered larger and larger proportions of the population until, in 2000, the remaining 1 percent of the nation that was uninsured received coverage. Germany likewise built upon its nineteenth-century Bismarckian system to create a system of truly universal coverage. Greece was relatively late to the game. In 1934, it established a Social Security Organization that covered urban and industrial workers, which was expanded to agricultural workers in 1961. But it was the 1983 legislation of the newly elected Socialist Party that put into place a National Health Service (NHS), founded on the principles of universal access. Along similar lines, Spain built upon a 1942 health insurance law with successive expansions of coverage. This culminated in the 1980s, when through a number of measures the Spanish Socialist Party converted the health care system to a tax-based system with universal access and a largely public provision of care. No doubt, as they entered the twenty-first century, all of these systems had their own flaws, their own inefficiencies, even their own inequities and injustices. But for the first time in human history, the poorest individuals could avail themselves of some of the most advanced medical care in the world without worry that their illness would bankrupt their family, and without the stigma of charity. A true right to health care had been legislated into existence. Universal health care, from this perspective, represented a truly massive and historical achievement. Needless to say, there has been resistance to these initiatives and programs from the time of their enactment. Margaret Thatcher tried to introduce market-based reforms into the NHS in the 1980s with so-called “managed competition,” in which health authorities were to function as buyers of care from competing groups of providers. Overall, however, this was quite unpopular, and during the 1997 elections the Labour Party promised an end to managed competition and other Thatcherite reforms. Similar efforts occurred elsewhere. In the 1990s, for example, a conservative government in Spain managed to legislate certain “reforms” that, among other things, raised co-payments for care. For the first time in human history, the poorest individuals could avail themselves of some of the most advanced medical care in the world without worry that their illness would bankrupt their family, and without the stigma of charity. Universal health care, from this perspective, represented a truly historic achievement. Still, the overall success of the universal model of health care was difficult to deny. It was clear that the United States, which lacked a universal system and which had worse outcomes despite paying much more, was not the model to emulate. And in 2000, when the World Health Organization issued its first ever ranking of the world’s health care systems (albeit with controversial methodology), the two top spots went to France and Italy, with Spain in seventh and Greece in fourteenth. Although cost control was (and certainly remains) everywhere an issue, it was clear that those nations with a more market-based health care system, such as the United States, saw costs rise far faster. It was, in short, difficult to argue with success, and universal health care remained very popular among voters. The economic crisis of 2008 opened a historic window of opportunity for those who would move away from universalism. The long-growing and clearly unsustainable housing bubble—and all the economic distortions it had created—popped, to consequences worse than most had imagined, with punishing recessions and sky-high unemployment that have yet to resolve in such nations as Greece and Spain. These less competitive Eurozone nations, tied to a single currency whose masters had not read, or did not believe in, John Maynard Keynes’s theory on the fundamental importance of monetary and fiscal expansion in times of crisis, were particularly crippled. Although Greece had had significant budgetary problems even prior to the crash, most other nations didn’t. Indeed, despite all the later talk about the unsustainability of its welfare state, Spain was actually running a budget surplus before the crash. In Spain, talk about the “unsustainability” of universal health care rose in the early years of the crisis. While some cuts were going to be inevitable given the demands of the troika, the conservative “People’s Party,” elected to power in the Spanish parliament in November of 2011, went further. In the face of the demands of the troika to slash health care expenditures, the party proceeded to pass, by royal decree (thereby avoiding parliamentary debate), a new health care law that represented perhaps one of the largest changes in Spain’s national health service since its establishment in the 1980s. Crucially, however, these changes were carried out in conjunction with huge global spending cuts in health care. In Catalonia, for instance, as García Rada reported, the nationalist party, after its victory in the 2011 regional elections, moved quickly to reduce the health care budget by 10 percent, to cut the salaries of some forty thousand public health professionals, and to close a third of its hospital beds and 40 percent of its operating rooms. Waiting times for care rose, and the situation became so bad that surgeons at one university hospital offered to operate on cancer patients for free. Hospital management, however, citing the various other associated costs of operations, denied them this opportunity. Mark Weisbrot at the Center for Economic and Policy Research estimated that in the United States these cuts would be comparable to a 25 percent reduction in total Medicaid spending. The reduced clinical activity, delays in payments, long waiting lists, and reduced health care investment will have two effects. First, the health of the population is likely to worsen. But second, these cuts have a certain self-fulfilling logic: as quality deteriorates, public support for the system declines, the system becomes more vulnerable to further attacks, and the cycle can restart. Universal health care in Spain has not been undone; its unraveling, however, has begun. Greece entered the crisis in worse budgetary shape than Spain, and also with a less advanced health care system. The health of its population was therefore all the more precarious when austerity hit. The cuts came hard and quick. With each bailout there were further demands for deep reductions in health care spending, with the IMF requesting a cut in public health spending from 10 percent of GDP to less than 6 percent. Health care spending—from both private and public sources—fell from $25 billion in 2010 to $16 billion in 2011. In 2011, the minister of health called for a 40 percent reduction in hospital budgets, despite a 24 percent rise in public hospital admissions between 2009 and 2010. And by 2012, Greece was estimated to be spending more on interest payments on its debt than on education and health care combined. The results were soon evident. Doctors have reported shortages of basic hospital supplies, ranging from gloves to cotton wool. Nurses have complained about huge increases in their patient loads. Waiting times increased, with one physician telling theNew York Times that breast cancer patients were waiting three months to have their tumors excised. Despite large increases in the rates of depression, spending on mental health actually fell by 45 percent. Significant reports of drug shortages came in from across the country. Co-payments for drugs were increased, while at the same time hospitals and pharmacies began demanding cash payments for drugs, so as to avoid the risk and wait for reimbursement. Simultaneously, access to public health services was sharply limited. The loan agreements that Greece has signed with international lenders have resulted in major changes to the health care system. Greece had not had a fully universal system of health care even prior to the crash. Individuals and their employers would contribute to a government-supported fund, and these individuals thereby received access to the public health system. Those who lost their jobs received benefits for a year and thereafter could still receive some treatment if unable to afford health care. But under the new deal, Greeks had to start paying for more of their health care costs out of pocket once their benefits expired. At the same time, the ranks of those without benefits swelled, creating a dangerous situation. The common factor to all these reforms is that they take these nations’ health care systems away from universalism. Even more frightening has been the fact that they haven’t worked. Slashing public sector spending has merely intensified the recession. Reliance on “street clinics” and charitable care, which previously had been used primarily by illegal immigrants without access to the public system, became more common. One charitable clinic, as reported in the medical journal Lancet, described a rise in the proportion of Greeks that utilized its services from 3 percent to 30 percent. Reuters carried a story about another clinic that relied on donated drugs, run by volunteer doctors and nurses who saw sixty patients a day. This, of course, was all occurring at time when the social, medical, and mental health needs of the population were expanding rapidly. A 2012 study suggested a more than doubling in the rate of major depression in Greece between 2008 and 2011, particularly among the young and those, not surprisingly, in financial distress. Reports of rising suicide rates in 2011 were particularly concerning given Greece’s traditionally low rate. The government’s public health agency reported significant increases in new HIV infections. Illegal drug use became more prevalent. The deputy health minister described a large “new category” of homeless—those unemployed by the crisis and evicted thereafter. Other European countries made similar, if less dramatic, cuts. Portugal, for instance, pushed through a large increase in co-payments as part of an agreement with the troika. Co-payments were also introduced in Italy, while the Italian Health Pact of 2011–2012 required a reduction in the number of hospital beds and admissions. The common factor to all these reforms is that they take these nations’ health care systems away from universalism, both in letter and spirit. Even more frightening, particularly for nations such as Greece and Spain, has been the fact that they haven’t worked. Slashing public sector spending has, as widely predicted, merely intensified the recession. Unemployment thus remains at Great Depression levels. As GDP falls further, so too does tax revenue. With no headway made in deficit reduction, countries need more bailouts, the troika demands more cuts, and social services such as health care deteriorate further. Austerity has been both an economic and human disaster, and it only remains to be seen how many lives are ruined—or indeed, lost—before the responsible parties recognize it. Although universal health care was a relatively recent achievement, it quickly came to be considered an intrinsic feature of the European welfare state. It is not, however, immutable. Universal health care everywhere arose through the process of political struggle, and it can be similarly unmade. It was generally the creation of parties of the Left, and was more likely to emerge, and to emerge earlier, in those countries with a strong tradition of labor unionism. As the balance of power shifts, it is not only possible, but indeed probable, that those elements that were fundamentally opposed to universal health care from its very conception will emerge to challenge it. Universal health care everywhere arose through the process of political struggle, and it can be similarly unmade. As the balance of power shifts, it is not only possible, but indeed probable, that those elements that were fundamentally opposed to universal health care from its very conception will emerge to challenge it. The greatest bulwark against these challenges remains its broad popularity, and it is for this reason that the attacks do not come head on. The best analogy in the United States is with Medicare and Social Security, also popular programs entirely discordant with the political philosophy of the Right. The right wing uses the cause of cost-containment and deficit reduction, combined with allegations of inefficiency, to chip away at the margins of these programs, to promote privatization and reductions in benefits, while at the same time avoiding a frontal rhetorical attack. Similarly, those who would undo universal health care in Europe begin by increasing the barriers to access (such as increased user fees or the denial of care to illegal immigrants), by cutting expenditures and reducing quality, by subtly changing the system away from universalism with changes in financing or benefit eligibility. Not to recognize that such measures could amount to the first step in a long process of unwinding the right to health care would be a dangerous mistake. There is yet another mistake that we must avoid. Perhaps because we wish to avoid self-congratulation or complacency with the status quo or perhaps because every system has faults and inefficiencies and imperfections, we can sometimes fail to recognize a true advance or accomplishment. Even as we try to improve it, we should accept the historical importance of universal health so that we can understand what we would lose were it to end. You don’t need a doctor to know that there are not many things worse than suffering from a serious illness or injury. One thing that is worse, though, is suffering while knowing that effective care for that condition exists, but is inaccessible or unaffordable; or suffering and receiving some treatment, but at the cost of bankruptcy; or suffering while knowing that the illness could actually have been prevented with better, or earlier, care. True universal health care confers an individual right to be protected from these terrible eventualities. It is therefore all the more urgent that we both protect and expand it. Adam Gaffney is a board-certified internist, a fellow in pulmonary and critical care medicine, and a member of Physicians for a National Health Program.